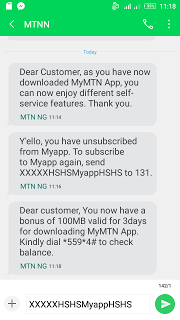 MTN released a special bonus to those who download Myapp application and this bonus was revamped I.e you can now use another method in activating the offer. In this tutorial, you will be able to activate and accumulate the offer up to 1000MB without downloading their application because per MTN Myapp download attracts 100MB free data bonus. 131 as a text message. The next message will notify you of the Free 100MB in this form; ”Dear customer, You now have a bonus of 100MB valid for 3days for downloading MyMTN App. Kindly dial *559*4# to check balance. “. Proceed to next step below. To accumulate the data, dial *123*5*7*3# and select 1 to proceed, select 1 again to choose Myapp and select 1 to finally unsubscribe. Now, resend XXXXXHSHSMyappHSHS to 131 for another free 100MB. Keep repeating the process and you’d keep getting free 100MB till 1GB and I advice you to stop at 1GB. 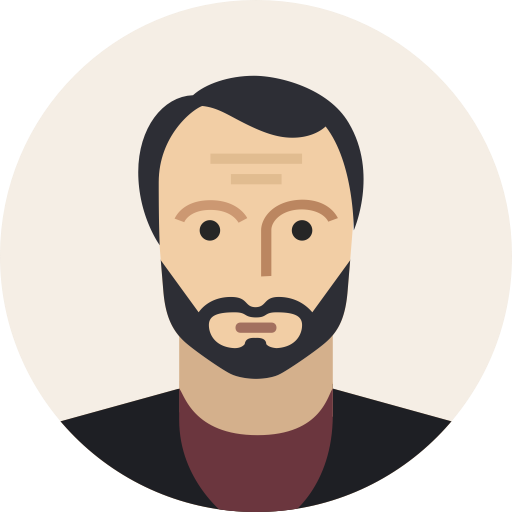 Am sorry that you can’t check your data bonus offer and try to put the data into test from your browser or any apps and enjoy! But the screen shot says u ave subscribed successfully. Were u not given any data. Current time: 20-04-2019, 11:05 PM Powered By MyBB, © 2002-2019 MyBB Group.